I have been tracking my eating the past few days at http://www.mypyramidtracker.gov. It has been driving me crazy. I thought we did such a great job eating healthy and now I am finding that we eat too much fruit, not enough veggies and it took me 30 minutes to lower the cholesterol and sodium for the foods I am eating today. I had to delete the dinner I had planned and do something else. It is frustrating, but very helpful. Maybe I can lower my cholesterol and triglycerides by using this site regularly. If you have a few minutes, it may be worth a try. 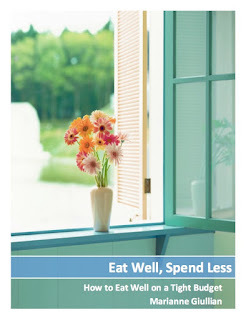 I should save more money on food, since we should eat less than we do! I'll have to check it out-though I'm very wary of anything our government suggest in terms of food recommendations. They're the ones who continue to let gmo food contaminate our food system, and I don't really trust or respect anything they have to say about food.